Are you at a loss to find a present for that special couple? Well, my unique gift tips and ideas will help you find the perfect gift for your friends, co-workers or family members. Money is always well received but it’s not personal and some couples appreciate the fact that you took your time to shop and purchase that cool, unusual, different present. The Internet has made shopping easy. We are not confined to our local boutiques, department or specialty stores where the gift that you choose could be out of stock. There are many websites devoted just to wedding gifts that will give you a wide variety of choices. If the bridal couple lives near the ocean or a river and enjoys cruising, how about giving them tickets to a dinner cruise where they will enjoy a romantic gourmet dinner and live entertainment as they take in the magnificent views of the city while watching the sunset. 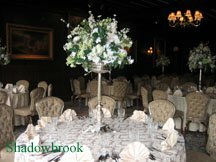 I was at a reception recently and noticed that the bride and groom had fluted champagne glasses that were engraved with their names and wedding date. I thought, what a wonderful present! The couple can use the glasses throughout their life and have a special remembrance of their magical day. Take a look at Best Bridal Prices Store and choose one of their lovely sets of fluted champagne glasses. Take a look at the link below and browse their accessories. Most brides and grooms are caught up in the hustle and bustle of preparing for their wedding day and are totally stressed out. How about giving them a day at a spa or paying for a “his and her” massage? So, the bridal couple likes to party! Don’t we all? How about purchasing the happy couple an engraved cooler and fill it with their favorite drinks. Then there won’t be any excuse for you not to get together after the wedding. Consider enhancing the bridal couple’s special day with a lasting reminder of their commitment to one another. This Love Letter Ceremony Box Set includes a walnut veneer wine box with lock, one pair of wine goblets, stationery for the bride and groom and more. Please go to the Best Bridal Prices store and take a look. 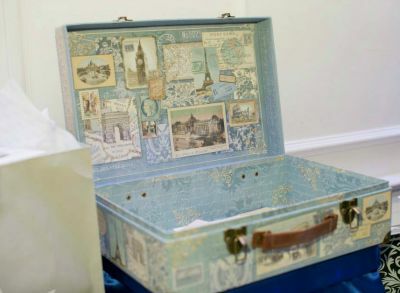 This beautiful box will also serve as a place to keep the couple’s romantic letters, thoughts and feelings. Imagine how delighted the happy couple will be to receive monogrammed stationery. Depending on your budget, you can purchase writing paper, thank you cards, envelopes with their address preprinted and stamps. The ideas for cool wedding gifts are endless, be creative and you'll be sure to please the blissful couple. Go to my Home page to find great planning ideas.